Good afternoon everyone! I hope you are all having a fantastic Monday! This past weekend was the kickoff for Fall and yes, we are still in the 90’s! I have yet to take get the full feel of Fall but you know my nails are in full swing! One thing that just screams Fall is warm cozy flannel so I decided to bring that to my nails. For my Fall kickoff mani I started off with Alyssa by Zoya, a cozy crimson red. Next I used Purity by Zoya with plaid waterslide decals from KBShimmer on top. Everything is then sealed with a coat of HK Girl by Glisten & Glow. That paired so well with that Zoya! I absolutely love your plaid and red fall mani. It reminds me of back to school outfits. BTW, it is in the 50s here, and I am so cold in my house, that I am trying to resist turning the heat on! 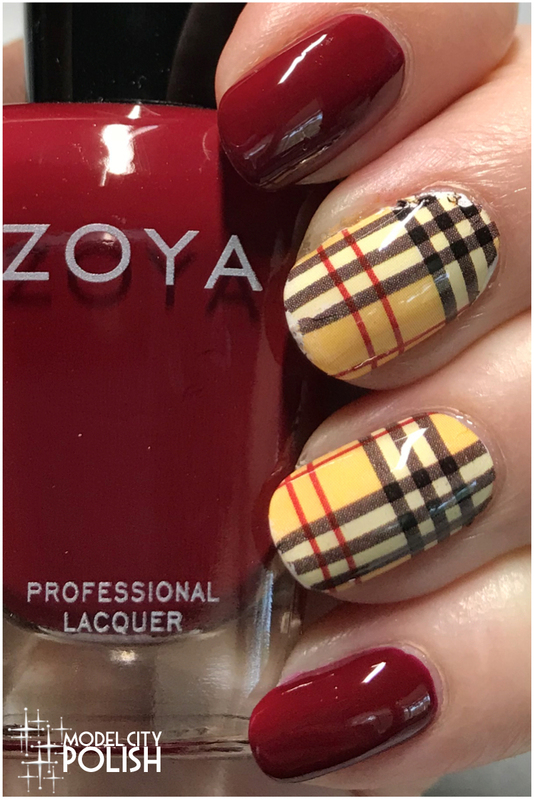 The zoya pairs so nicely with the plaid pattern! Perfect Fall mani! The plaid looks so cute! 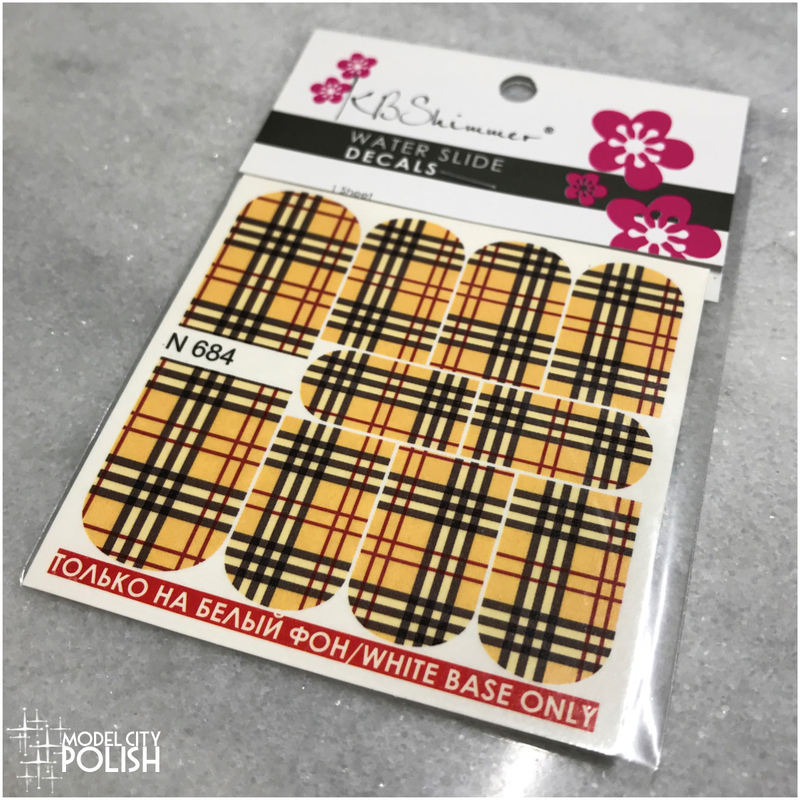 I love the plaid accent with your mani! This is perfectly fall and fun! Alyssa works so well with it. The KB water slides make such a unique manicure and you picked a perfect shade to wear with them. I like the combination you used. Really fall! Seeing those decals totally reminded me of Clueless! 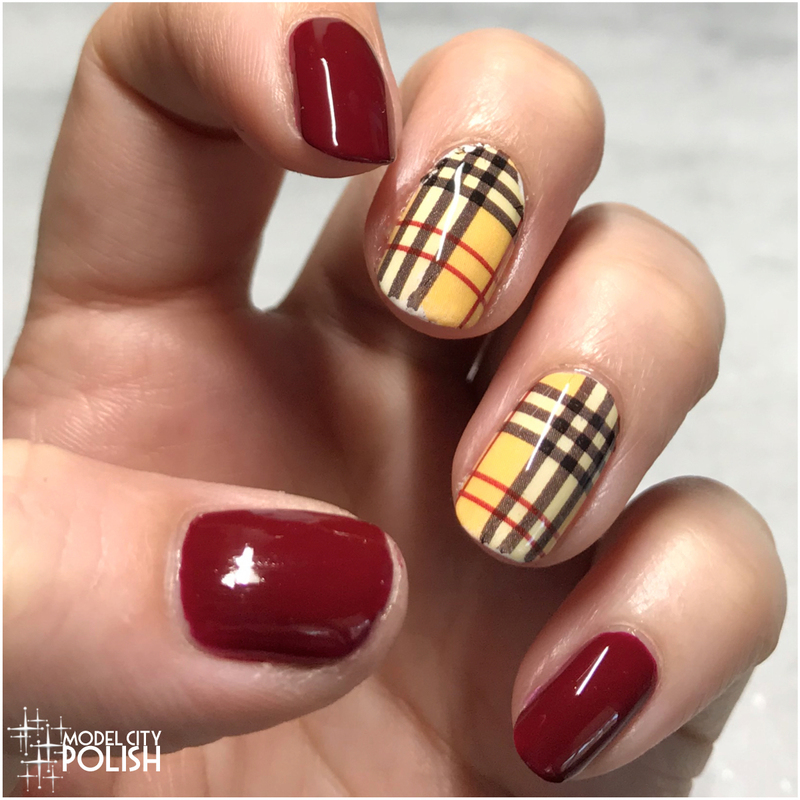 I love those Burberry nails! I didn’t know KBS had decals! The plaid decals are so prefect for right now! I love your fall kickoff manicure! 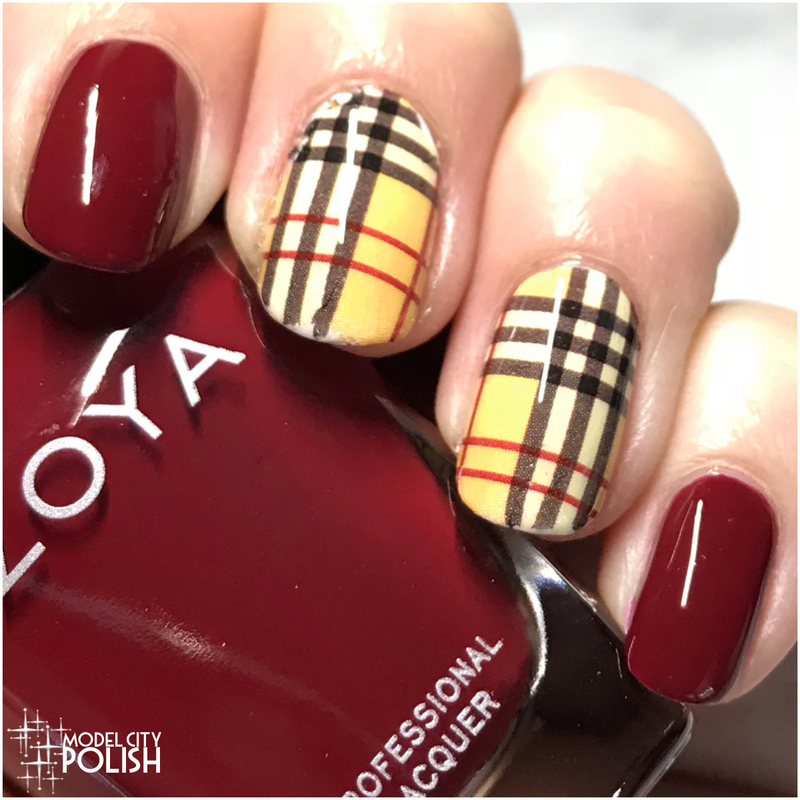 The plaid decals work so well with Zoya Alyssa giving the perfect fall combination.